This entry was posted in Ukraine and tagged Mariupol, Russia, Ukraine, Vodyane, War by Julian Röpcke. Bookmark the permalink. Incredible reporting and this proves that Minks II is a sham beyond a doubt. 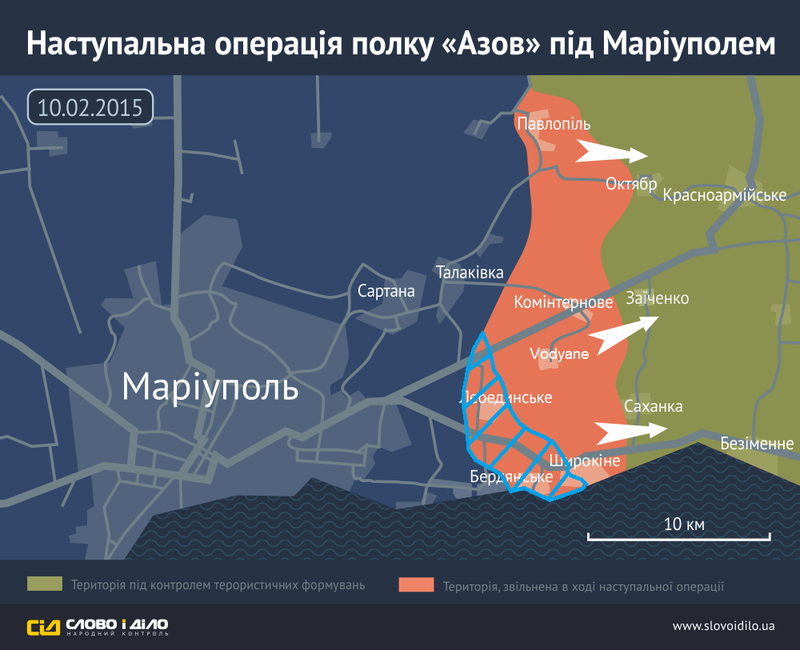 What terrorists did immediately after “minsk 2” was made? They gathered all forces around Debaltseve and started a real massacre there. Same time entire frontline was empty and Ukrainian soldiers couldn’t swoop on it cause the “minsk” forbade. Terrorists dont give a sh.. about it. to protect the people of Ukraine and all its land well they failed on both accounts and should be ashamed. Maybe give them back there 1242 Nuclear weapons and at least the can do some damage themselves. How many more people have to be killed before they get help how much land must be destroyed and stolen when will the rest of the world stand up to that p***k Putin and his idiots.